If you’re serious about music marketing, you can’t just set up a few social profiles and call it a day. Marketing requires a willingness to experiment, to take a long-term perspective, and to calculate your return on investment. If you keep doing the same things over and over and never get a different result, that’s poor marketing. You have to look at what each channel is doing for you, assess which ones are working, and ditch the ones that aren’t. 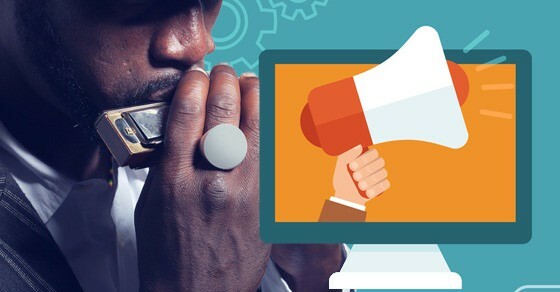 Here are four music marketing strategies that are worth implementing ASAP. You don’t need to be an expert advertiser, nor do you need a lot of capital to begin taking advantage of Facebook advertising. You set your own rules: you get to pick your goals, your daily budget, who you want to target, what you want your ad to look like, and more. 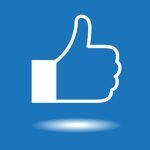 Promoting your page (to get more ‘likes’). Sending people to your website. Raising attendance at your event. Getting people to claim your offer. Getting videos views (video marketing in conjunction with Facebook advertising can be powerful). 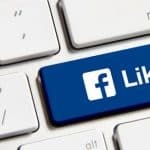 Targeting is perhaps the greatest strength of Facebook advertising, as it lets you choose an age range, gender, languages, interests, behaviors, connections, and other granular characteristics for your target audience. The interests one is particularly fun. Let’s say you’re in a metal band, and one of your biggest influences is Metallica. That means you get to market your music directly to people on Facebook who have liked Metallica’s fan page. That’s a fairly rudimentary example, but it should give you an idea of what is possible with Facebook ads. I’m sure you know plenty about email marketing already, but it’s worth exploring again because of how fundamentally important it is to any marketing strategy. Once you have your account set up, it really just comes down to two things: sending campaigns and getting more email addresses for your list. Campaigns should be sent regularly and pack lot of value for your fans. That’s pretty basic. As far as getting more email addresses go, you need to collect them everywhere you go (at your shows, on your website, etc. ), offer incentives to get on your list (like free music), and give people a reason to stick around. Here’s a bit of a mindset tip: make it your goal to get a person’s email address with every interaction you have. If someone follows you on Twitter, engage them right away, build the beginnings of a friendship in a genuine way, and give them a compelling reason to join your list (i.e. “You’re going to love our new release, but you’re going to miss out on some awesome bonuses if you aren’t on our email list.”). Make sure that your call to action makes sense within the flow of the conversation. Derek Sivers and Andrew Dubber often recommended musicians take photos of their audience and then ask them to get on your email list, because you’ll be sending them that picture by email later. This still works! If you’re a bit of a power user, you might try using a tool like Hello Bar to collect more email addresses on your website. You can use that to A/B split test call to actions to figure out what works best. In this day and age, it doesn’t make sense not to have some kind of strategy revolving around video as a musician. 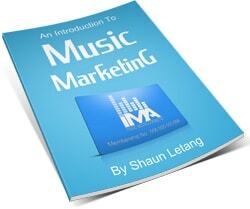 Here’s how to make your video marketing stand above the majority of independent musicians. You can create acoustic covers of your favorite songs, lyric videos, video songs, and like I pointed out in an earlier article, high quality performance videos to solicit more bookings. Include keywords in your title as well as your description. Take some time to write two to three paragraphs for the description, and include a link back to your website on the first line. Create a blog post with the same title as your video, and make sure to write up a summary. This is good for SEO. Distribute your video to a number of different video sharing sites using a tool like OneLoad. At the very least, upload it to YouTube and Facebook. Share your video across as many social media channels as possible. Create shorter, teaser versions of your video and share them to Instagram and Vine. If you believe that success is contingent upon who you know rather than what you know, this strategy is for you. There are a variety of ways to conduct outreach campaigns, but the key thing is to keep it simple. I would suggest creating a reason for reaching out to people. If you have a blog, you could regularly feature or interview people you know. You could also use this as an excuse to reach out to those you don’t know and interview them. Once the post is published, you can email those involved and send out a Tweet with everyone’s Twitter handle in it. To take it to the next level, you could publish your own podcast and create more of a presence for yourself on the iTunes platform. The podcast medium is great for interviews. Another idea would be to publish your own magazine (digital, physical, or both) that covers your local music scene. It’s a lot of work, especially if you want to publish more than one issue per month, but this gives you an excuse to reach out to a lot of people you probably wouldn’t otherwise, and it positions you as an influencer in your scene. If you have a bit of money sitting in your bank account, you could also have an app developed and publish your digital magazine to Newsstand on Apple devices. Because competition is still relatively scarce on Newsstand, the chances of getting noticed are still quite good. You can use this channel to grow your email list and make a bit of money through advertising as well. Hopefully you’ve noticed how each of these tactics can complement the other. Trying to develop a marketing blueprint that doesn’t account for all tactics is short-sighted. You need a way to bring them all under one umbrella, and clearly define what goal you’re working towards. 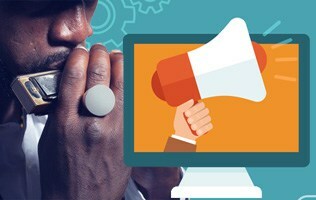 So, have you used any of these marketing strategies or are you going to? Let us know in the comments. Note: You'll also be sent our free helpful twice weekly music marketing newsletter which you can unsubscribe from at any time, as well as our music marketing video training series. We never sell your information.